SAGEVIEW CONSULTING WILL FIND IDENTIFY THE BEST TALENT FOR YOUR ORGANIZATION. In today’s fast-paced world, the needs of companies continue to evolve, while demand for high-performing executives remain constant. Searching for the very best talent to create a successful leadership team requires a smart, thoughtful approach. Sageview Executive Search, a division of Sageview Consulting, has the expertise and experience to navigate this challenging landscape. Our executive search experts work with organizations throughout the country to find exactly the right leaders to fill their top executive positions. Sageview’s commitment to identifying people with the right skills, experience and attitude is unmatched. With offices across the country, we have a proven track record of strategically identifying and recruiting premier talent across the nation. Our expert executive search consultants do so by working closely with clients and colleagues to identify candidates with the specialized skills and experience needed to precisely fulfill the client’s request. Sageview Executive Search uses an expansive network of industry leaders across a wide variety of sectors to find those that can fit the open position. This is the initial step in a successful executive search. First, a member of the Sageview Executive Search team will meet with the client and other stakeholders to determine the skills, knowledge, and abilities required for the role. We offer professional guidance and fresh perspectives that can reshape the way a company perceives fulfillment of the role. Considering the level and scope of the role, Sageview Executive Search will yield the most successful candidates. Combining key data points such as location and culture can also help to shape search criteria. We’ve found that company culture is a key element in this analysis. In fact, many talented executives have failed due to cultural differences with their new organizations. Working with you, we will customize our search to identify individuals who share your company’s attitudes and values, as well as those with the skills and experience needed for the job. Once the search begins, Sageview Executive Search uses an expansive network of industry leaders across a wide variety of sectors to find those that who fit the open position. Prospective candidates will be contacted and thoroughly evaluated to determine if they meet the primary requirements of the executive role. Our team will verify each candidate’s qualifications, including academic achievements, professional accreditations, and licenses. After comprehensive evaluation, Sageview will then present the strongest candidates so our clients can move forward with the interview process. Once our client has selected the most qualified candidate for their top-level position, Sageview will ensure both sides are well-informed about the status of the negotiation. 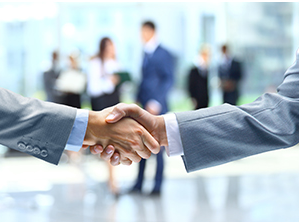 Our executive search experts will stay in close communications with both parties to ensure a smooth transition and a positive working relationship on both ends. Sageview Executive Search offers a different approach to executive search throughout North America. Depending on the client’s needs, we will find the best available candidate by industry, role, and specialty to build a premiere executive team. 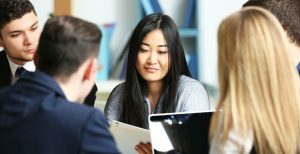 We use industry-leading tools and techniques to provide clients with a realistic assessment of each candidate, and help identify the best person for open positions. Sageview Consulting provides comprehensive executive search services for non-profit organizations. With offices across the country, we have a proven track record of strategically identifying and recruiting premier talent across the nation. Our expert executive search consultants do so by working closely with clients and colleagues to identify candidates with the specialized skills and experience needed to precisely fulfill the client’s request. Today, non-profit organizations are rapidly evolving with a mission centered around creating a meaningful impact. Yet many face challenges while trying to promote their cause, including fewer resources and increasing turnover in key personnel. In addition to doing “good work,” organizations and their leaders must be able to create an environment of change, while motivating others to understand, accept and join their cause. Non-profit organizations acknowledge their greatest challenges are raising enough funds to accomplish their mission, building public trust, staffing, managing donor expectations, obtaining the technology needed for their mission and complying with state or federal requirements for their organization. Non-profits need strong leaders with top credentials and trust from the community to effectively tackle such issues while maintaining a strong work force. 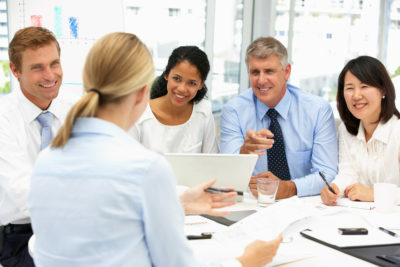 Sageview Consulting offers executive search for non-profit leaders to help organizations of all sizes achieve success. Sageview understands the most important qualities that a great non-profit executive should display. Passion for the organization’s mission: A quality non-profit leader strongly believes in the organization’s mission and is driven by its importance goals each day. Financial skills: Those in charge of non-profit organizations must be skilled in finances, budgeting, as well as recognizing financial opportunities. Collaboration: A successful leader will know how to actively listen to others, consider various viewpoints and work with others to reach a common goal. Trustworthiness: Non-profit leaders are trusted to lead the mission with total transparency and ethical practices. Perspective: A strong leader should be able to look outside of the box, consider the changing client needs and social conditions, and come up with creative ways to ensure their organization continues to create community value. Persistence: The ability to persevere through difficult times or organization setbacks. Ability to motivate themselves and others: The ability to inspire others and ignite their passion for the same cause is crucial to maintaining high morale. Sageview Consulting specializes in executive search for non-profit organizations. Our team of experts can locate non-profit leaders with confidence, ability, foresight, energy and strength to lead your team and help them reach their fullest potential. Sageview Consulting has worked closely with those in the non-profit sphere, as well as Jewish organizations over the past 10 years to place top candidates in executive roles within these organizations. Our in-depth knowledge and experience in this field allows us to use our resources to ensure a smooth search and hiring process. First, we establish your desired search criteria to determine the skills, knowledge, and abilities required for the specific challenges of your non-profit. Then we create a customized search strategy, guaranteed to yield successful candidates. Next, we scan an expansive network to find prospective candidates. We contact them, and verify their qualifications to determine if they fit the role for your organization. Once we conclude our search, Sageview will only present the finest candidates that we believe exemplify a strong, non-profit executive. Our expert consultants take pride in the intricate database of prominent professionals that has been cultivated internally. 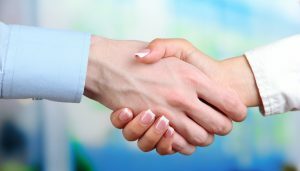 We are successful connectors, and have unprecedented access to top candidates and open positions through our comprehensive network of contacts.